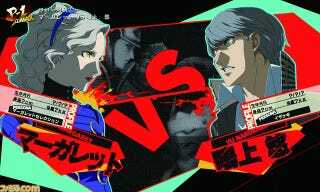 That's right, Margaret is coming to Persona 4 Arena Ultimax (paid post-release DLC in Japan). No word about Margaret for other regions. Margaret will be using multiple personas that includes : Yoshitsune, Cu Chulainn, and Ardha. Her finishing move summons Helel for "Morning Star of the Dawn" to perform a One-hit K.O.